The Runout Groove: Three Darn Tootin' Good Cover Versions For Y'all! Three Darn Tootin' Good Cover Versions For Y'all! Sorry for the interruption in broadcasts there folks, had a megabusy day tuesday and then last night went to see the Manics at the Astoria, which was rather fun if a bit weird (as the last time I saw them was about 5 years ago!). Still a good night and they played a few songs each from Gold Against The Soul and The Holy Bible, which made up for the deluge of BAD new stuff. Anyway today I thought i'd post a little selection of cover versions. None of them that rare or unheard of, but all of them rather lovely in their own way. 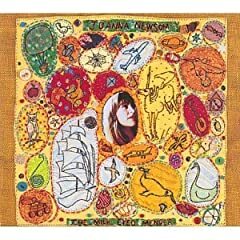 First up is the ace Final Fantasy cover of Joanna Newsom's Peach Plum Pear. Owen Pallett has done a load of great covers live, but this is probably the best. Personally I loved last year's He Poos Clouds and can't wait for the followup. 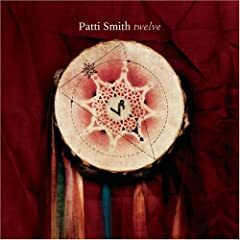 Next up we have an outtake from Patti Smith's recent cover albums Twelve. It's been on a few other blogs recently but I like it so much that I thought it was worth putting up again. It's a Decemberists cover of course, the original featuring on their debut album Castaways And Cutouts aaaall the way back in 2002. 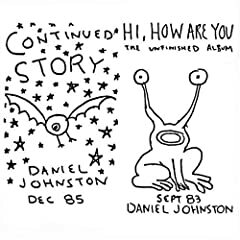 Third and finally is a track from the Daniel Johnston compilation Discovered Covered, in which of course you can find one tribute album of cover versions and one album of the original DJ songs. 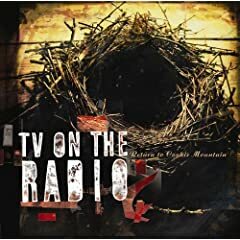 It's got some amazing stuff on it, but this is probably my favourite; TV On The Radio covering Walking The Cow. Hope you like 'em all! Man, I love Daniel Johnston. That TVOTR cover was awesome. Here I Dreamt I Was Architect is one of my favorite songs of the last few years, I didn't even know Patti Smith recorded her own version. Interesting to hear for sure, but not as good as the original. What leotard shall a poor boy wear?